Many companies have become comfortable with virtualization, which lays the foundation for developing a private or hybrid cloud strategy. But to optimize their infrastructure, IT pros need to understand that a cloud environment has some key differences from an environment that is just virtualized. In this e-book series, we define the cloud and the attributes -- like automation, chargeback and new management tools and strategies -- that take virtualized data centers to the next level. 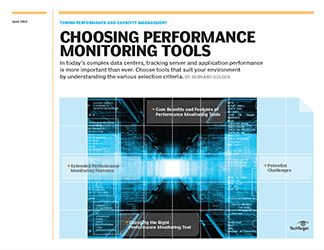 With advice on selecting virtualization vendors and tools that will help in this process, readers will be able to make informed decisions about their virtualization strategy and design a smart architecture for cloud, rather than approaching it on a costly trial-and-error basis. 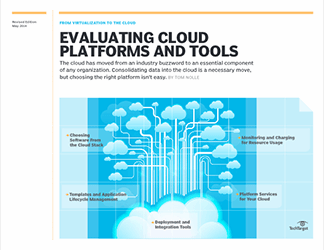 This chapter provides an overview of major virtual platforms and tools on the market with a focus on building a framework for the cloud. It explains how automation, VM templating, chargeback and other features define cloud computing. 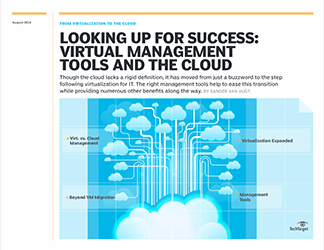 We explore considerations surrounding various virtualization platforms, plus the numerous management tools on the market that can help companies build upon their virtual infrastructure and fully prepare for a cloud environment. IT shops often operate on a tight budget, and increasing pressure to provide private cloud capabilities in the enterprise presents a fiscal challenge. How can companies that are faced with the prohibitive licensing and software costs involved in a private cloud deployment modernize their data centers? Using multiple hypervisors, making smart decisions about private cloud software and considering open source cloud tools are all helpful strategies. It's also important to develop and enforce resource usage policies, which can limit private cloud costs in the future.